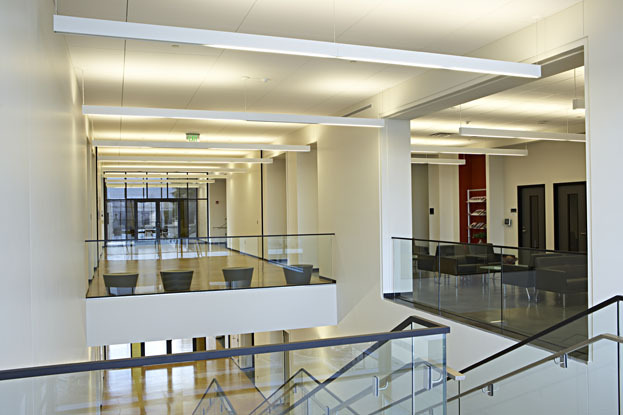 Willard J. Walker Hall, Univ. of Ark. The Willard J. Walker Hall at the University of Arkansas is named in honor of the late lead developer of Wal-Mart Stores in recognition of his foundation's donation to the project. 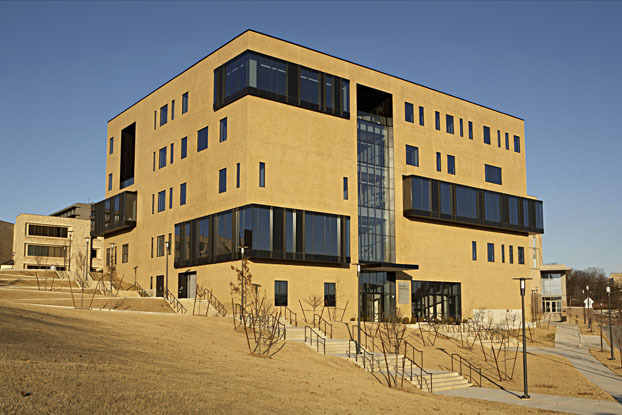 The $22-million building, designed by Allison Architects and Machado Silvetti Associates, is one of four buildings comprising the Sam M. Walton College of Business at the Fayetteville campus. 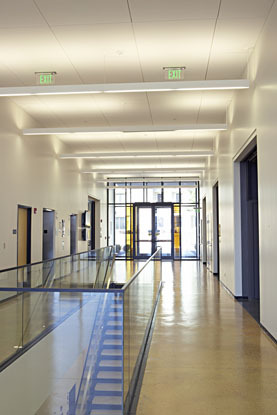 To help optimize the learning environment, architects installed Techstyle Acoustical Ceilings by Hunter Douglas. 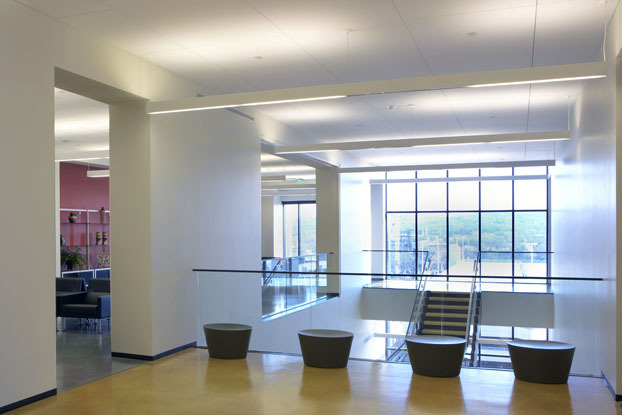 Research shows that good listening environments reduces distraction and leads to better learning in the classroom. 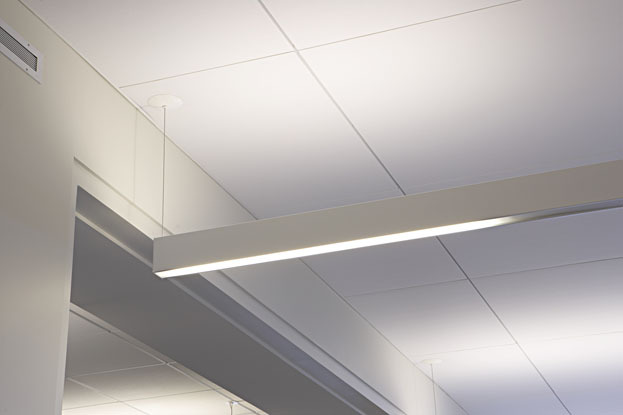 Techstyle ceiling panels provide exceptional acoustic performance (NRC=0.85) with a clean aesthetic that allows access to the plenum, as well as easy integration with lighting and HVAC systems. 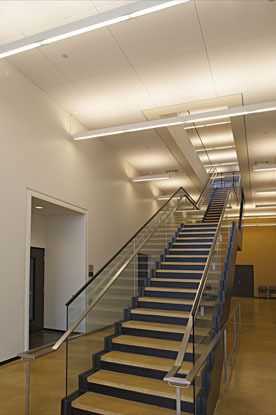 In accordance with university policy, the new construction meets Silver LEED standards, although it did not apply for certification. 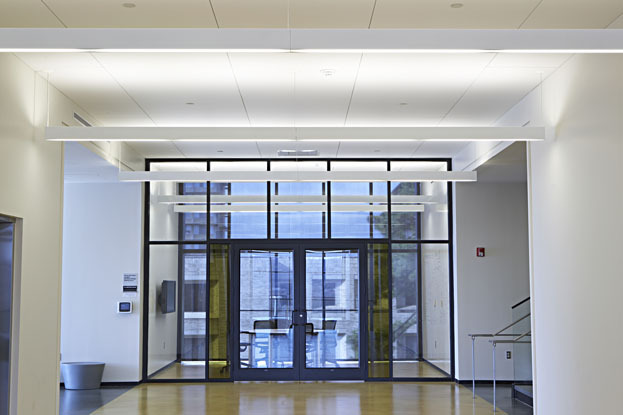 The 77,760-square-foot Willard J. Walker Hall features reduced water consumption, recycled building materials, and motion and thermal sensors.